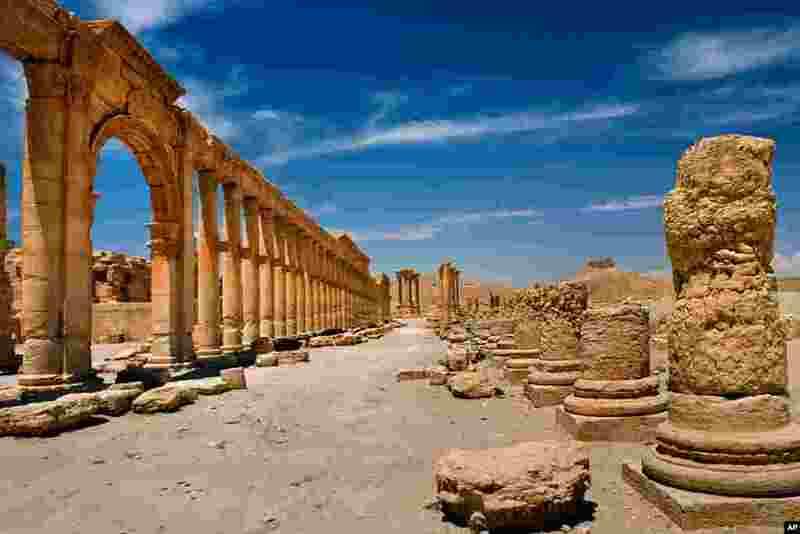 Backed by Russian airstrikes, pro-Syrian forces reclaimed control of the ancient city of Palmyra after a 10-month Islamic State occupation that included the destruction of several monuments dating back nearly 2,000 years. 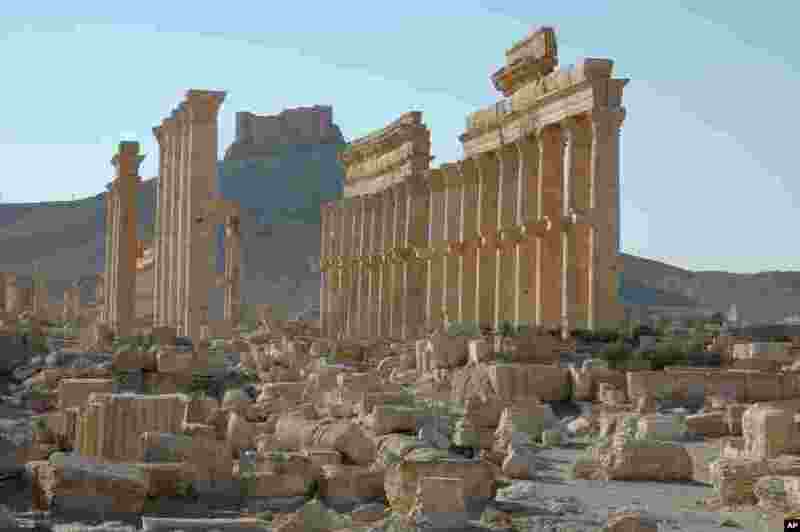 1 In this undated photo released by the Syrian official news agency SANA, shows the site of the ancient city of Palmyra, Syria. 2 FILE - This undated file image released by UNESCO shows the site of the ancient city of Palmyra in Syria. 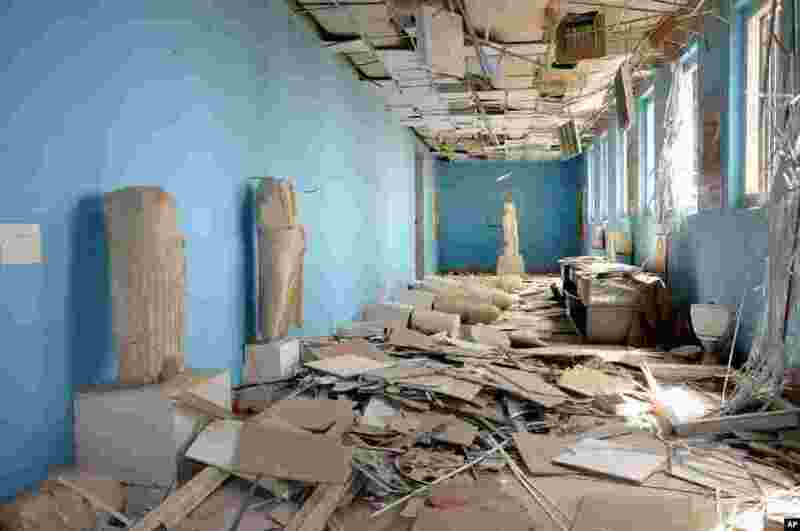 3 This photo released on Sunday March 27, 2016, by the Syrian official news agency SANA, shows destroyed statues at the damaged Palmyra Museum, in Palmyra city, central Syria. 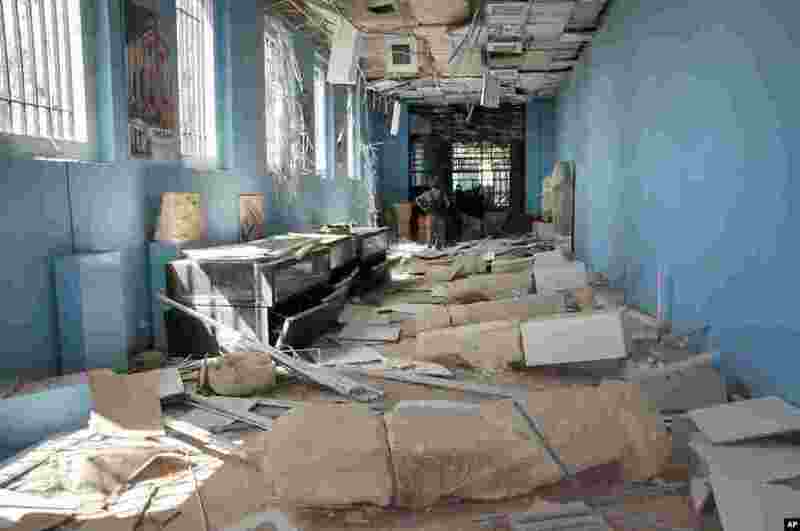 4 This photo released on Sunday March 27, 2016, by the Syrian official news agency SANA, shows destroyed statues at the damaged Palmyra Museum, in Palmyra city, central Syria.